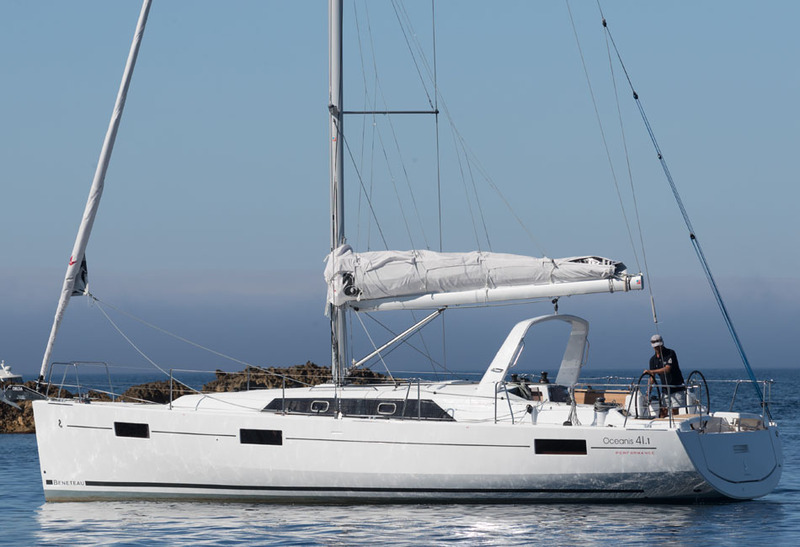 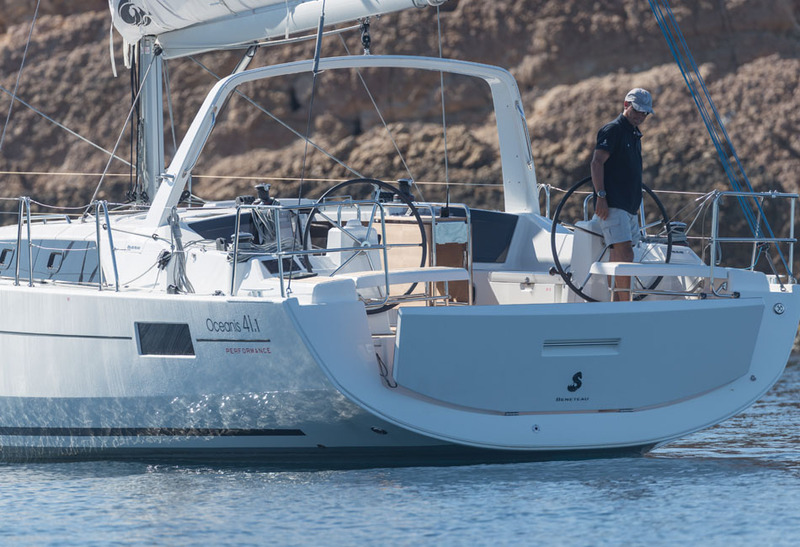 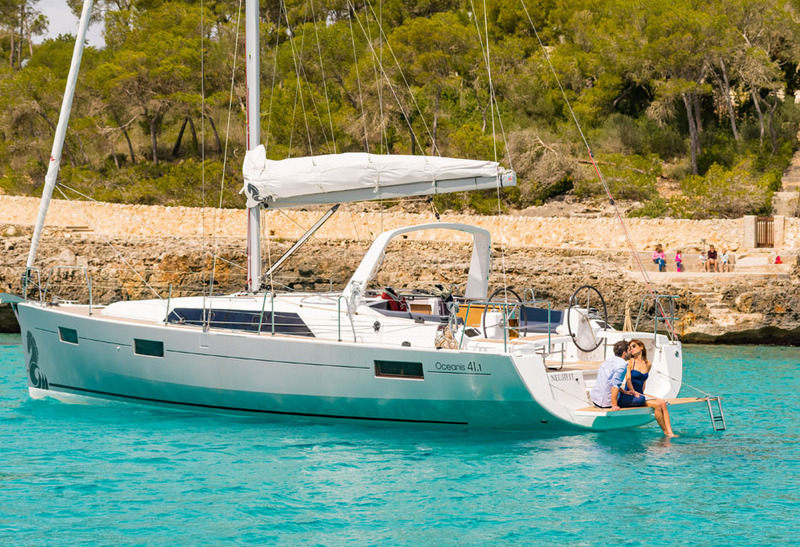 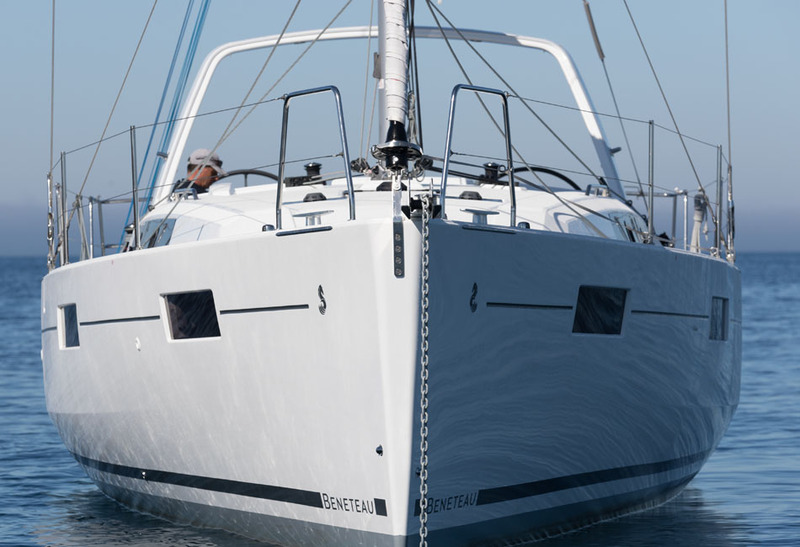 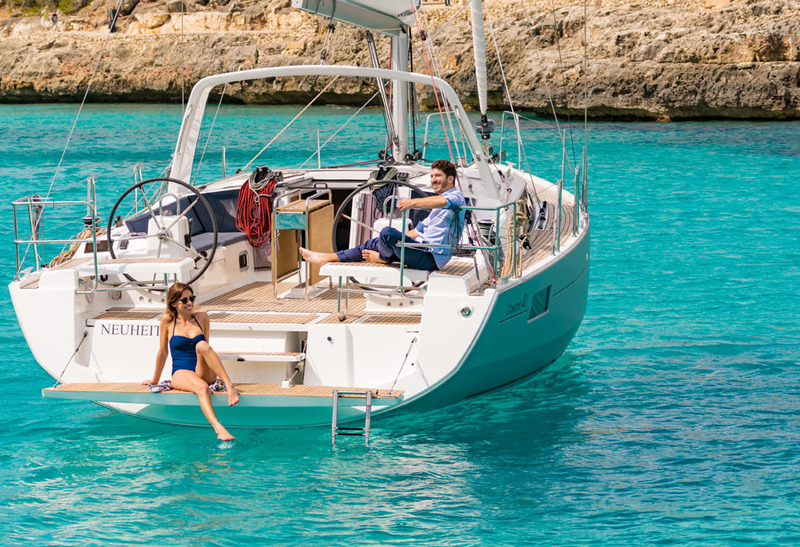 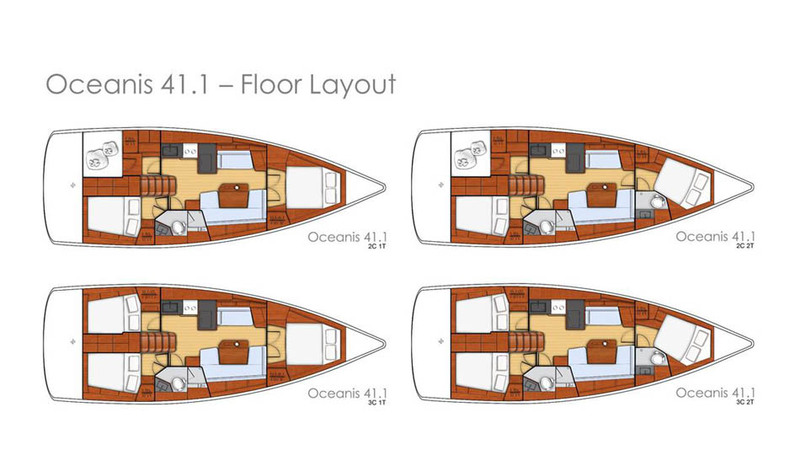 The Oceanis 41.1 is a highly customizable boat equipped with on-board intelligence and powerful performance. 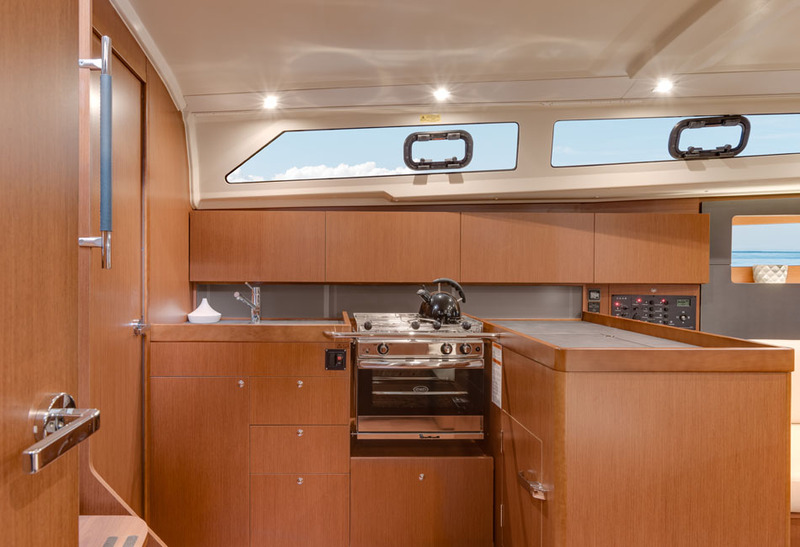 No other boat her size can compete with the cockpit space on a perfectly balanced chined-hull. 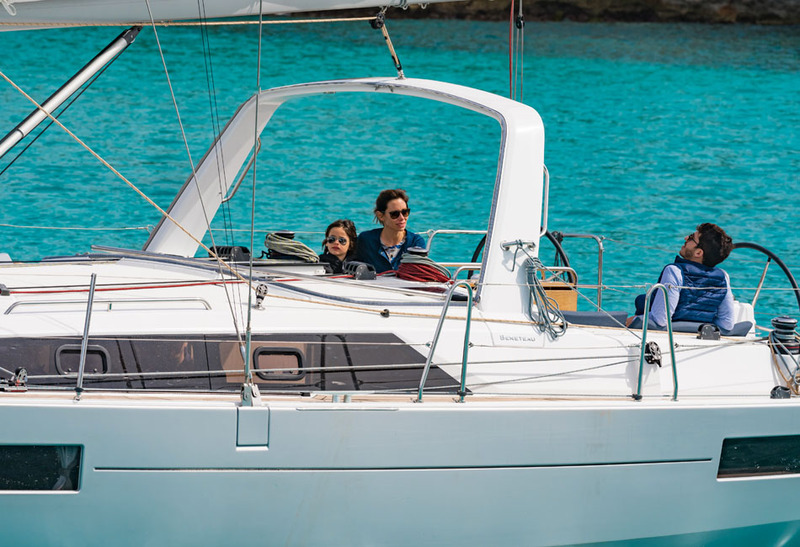 And, a wide range of choices allow personalization to meet the unique needs of every owner. 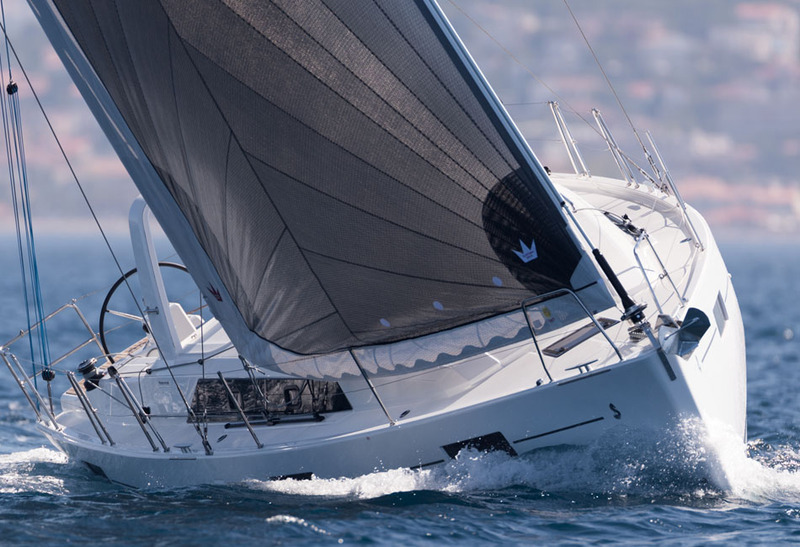 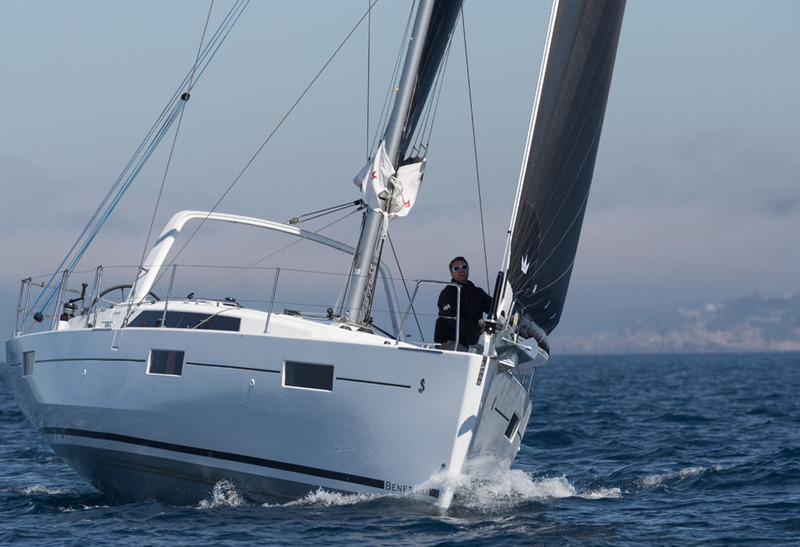 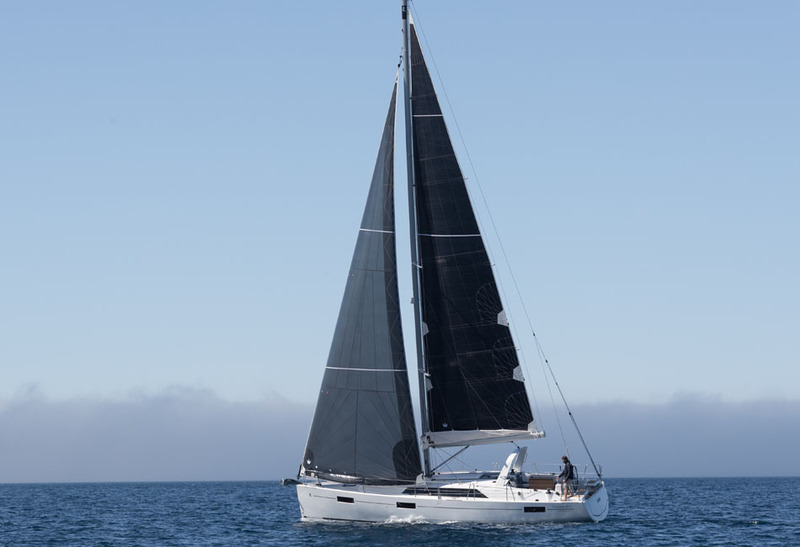 The Oceanis 41.1’s mast is positioned further back to guarantee outstanding balance under sail. 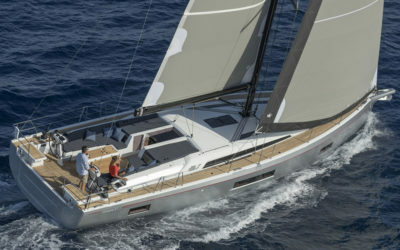 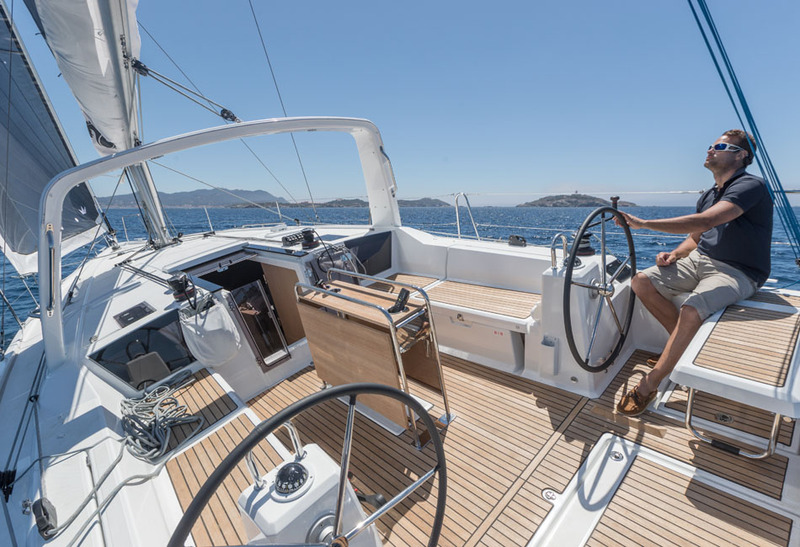 The Performance Pack, German System and Elvstrom sails, promises comfortable sailing even at top speeds. 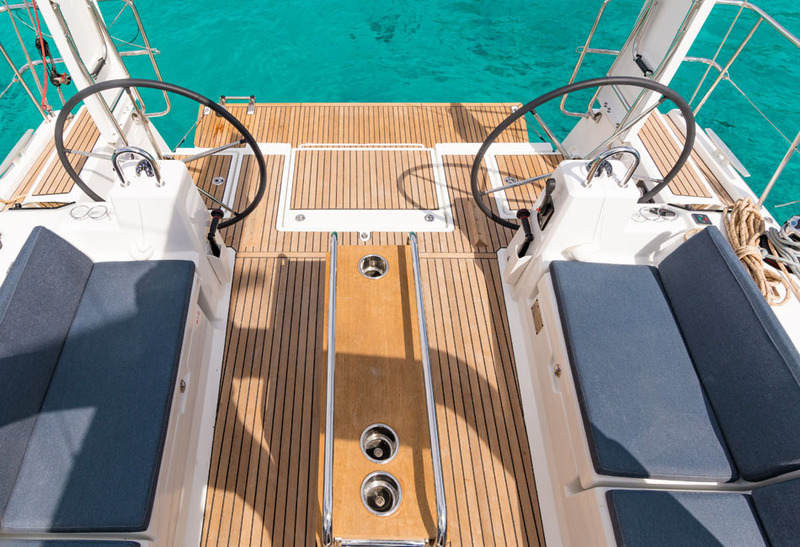 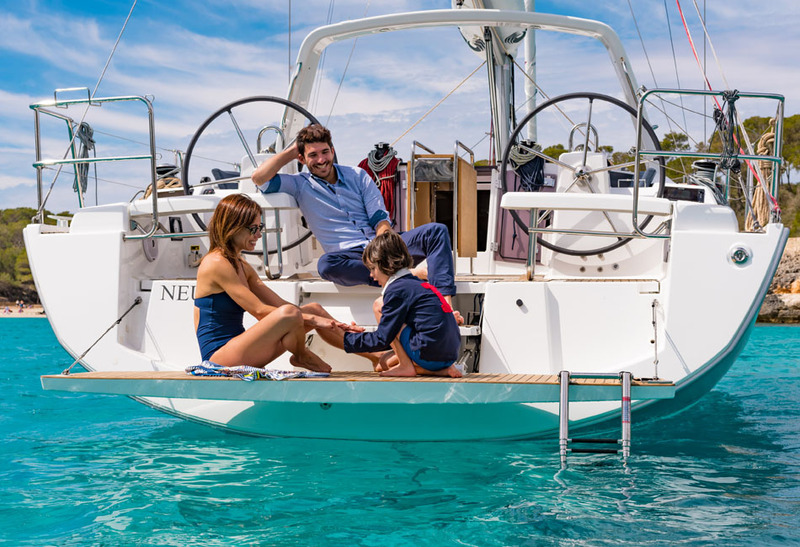 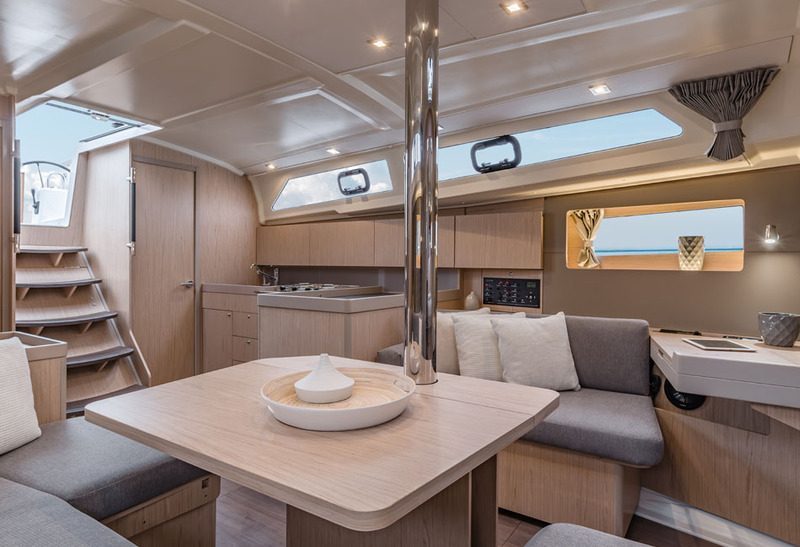 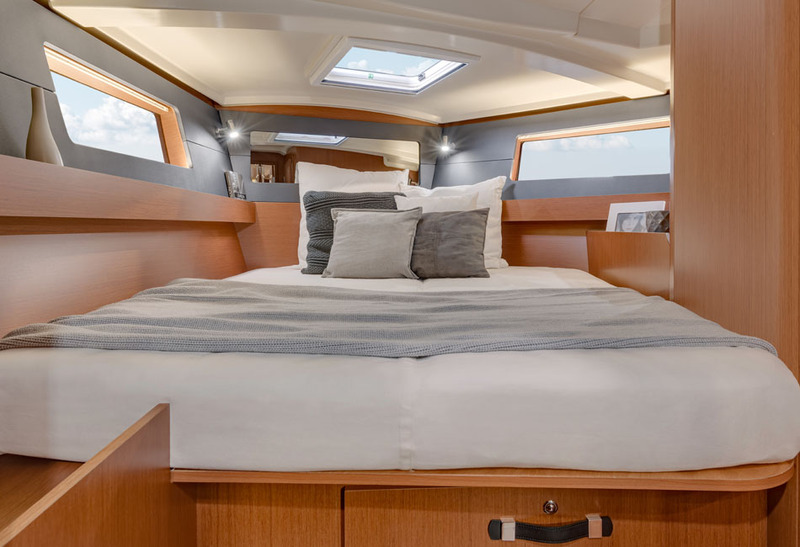 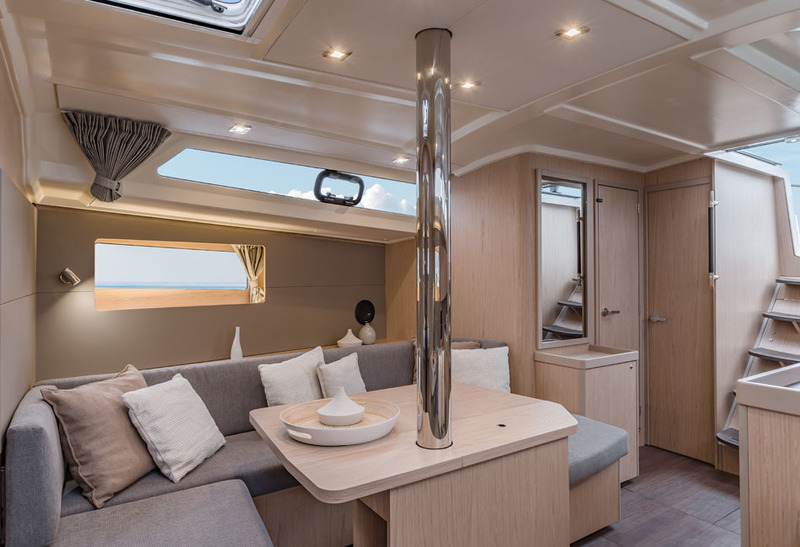 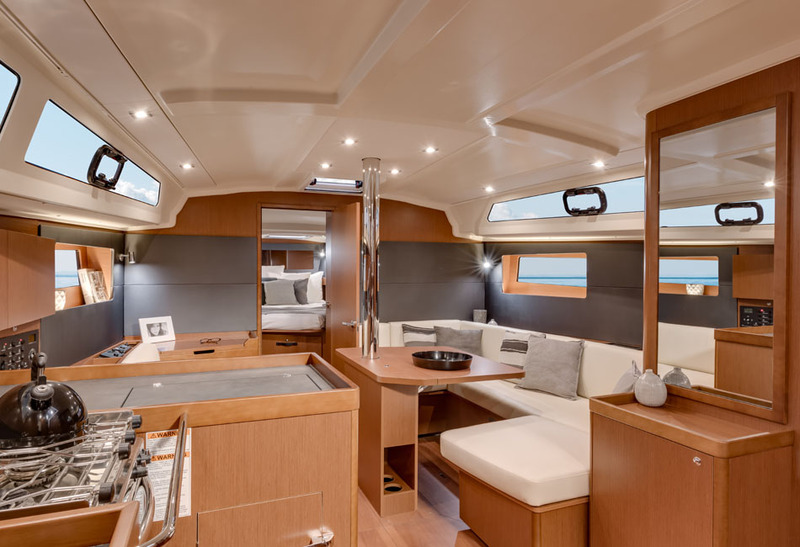 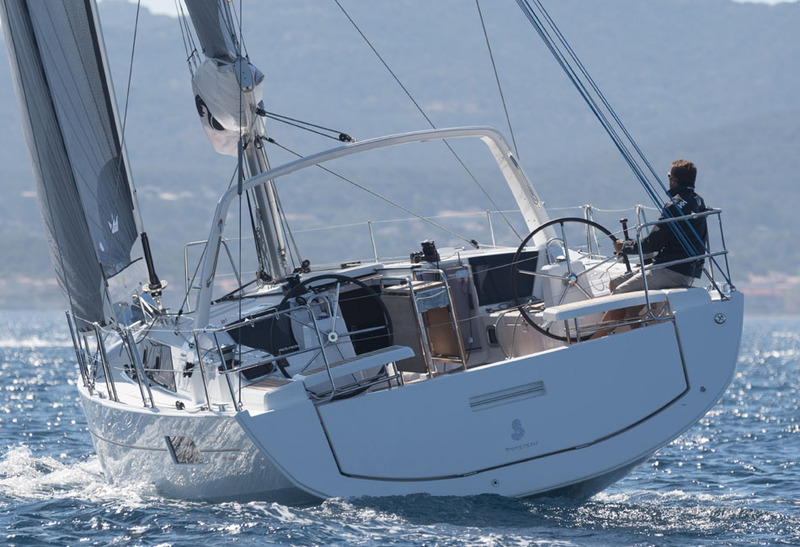 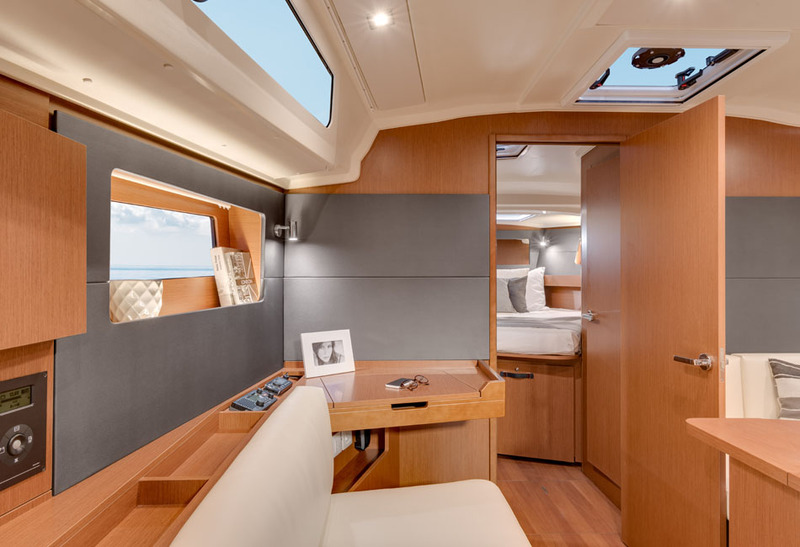 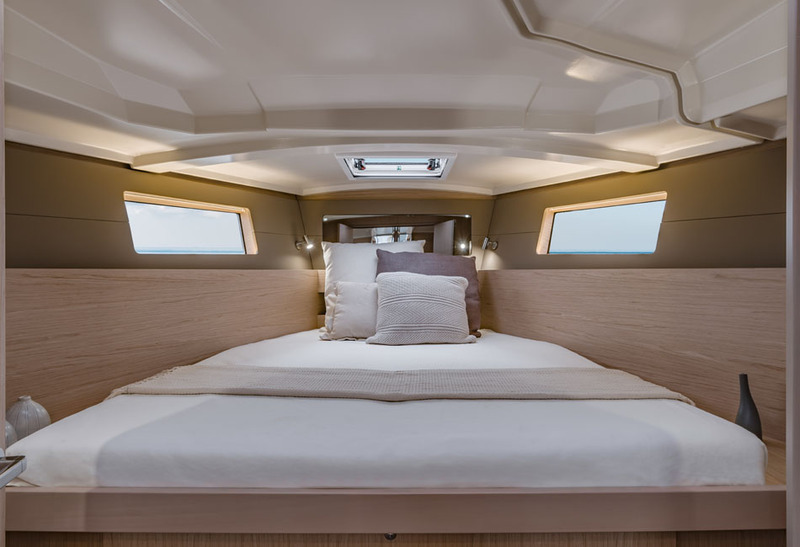 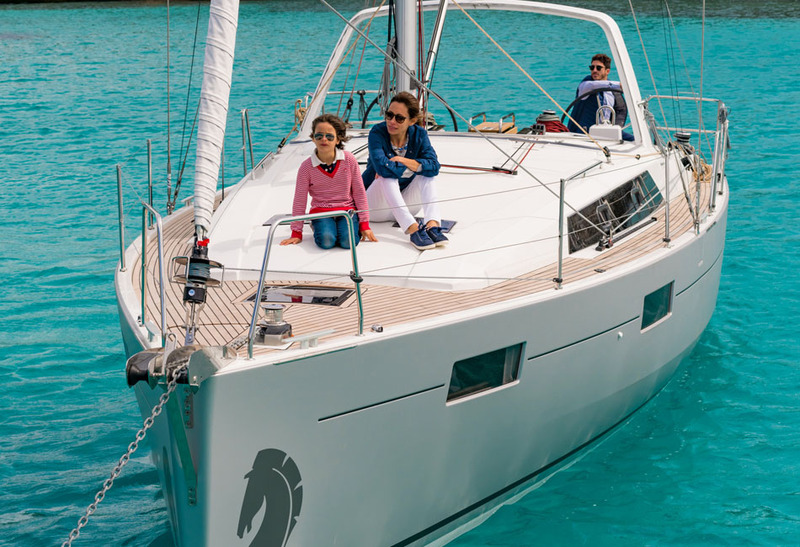 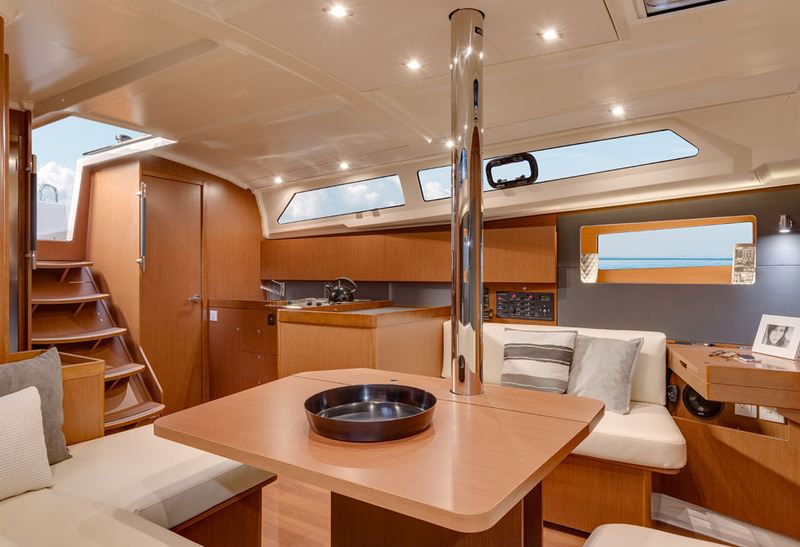 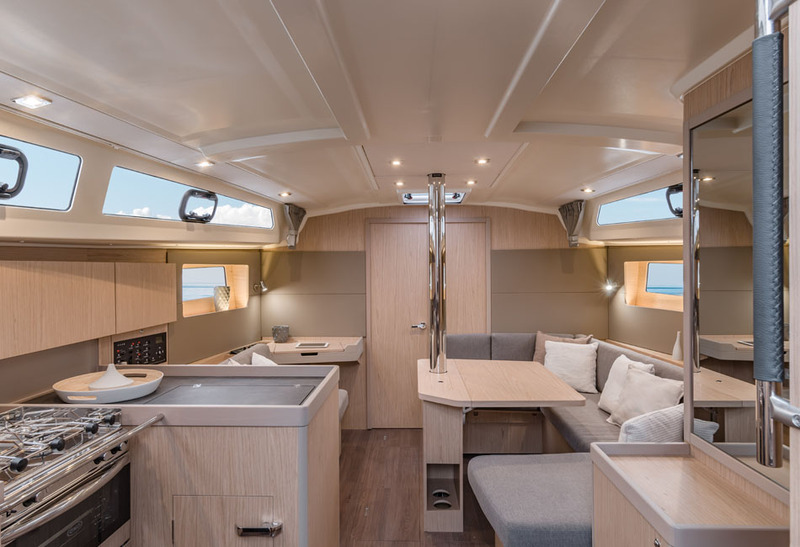 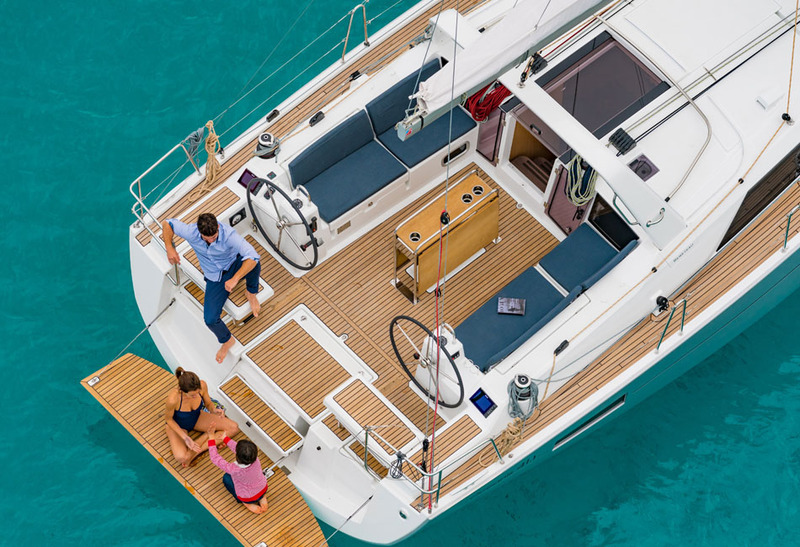 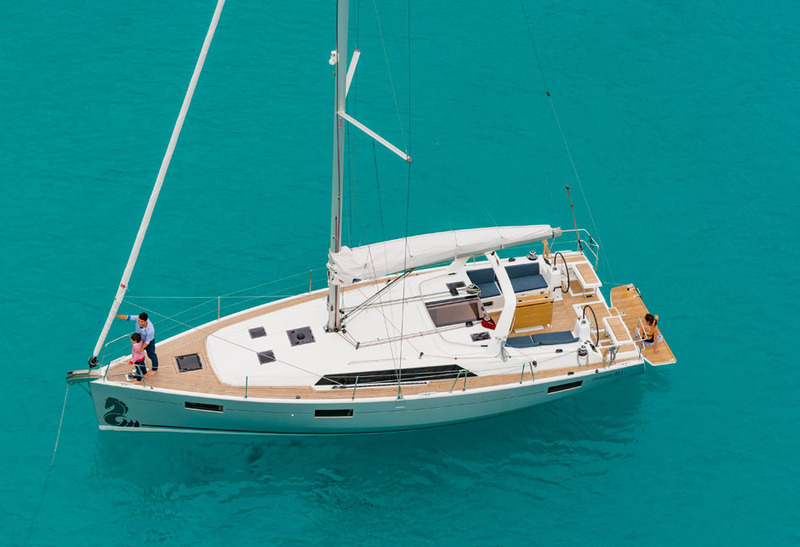 A gently sloping companionway gives access to the Oceanis 41.1’s sunlit interiors. 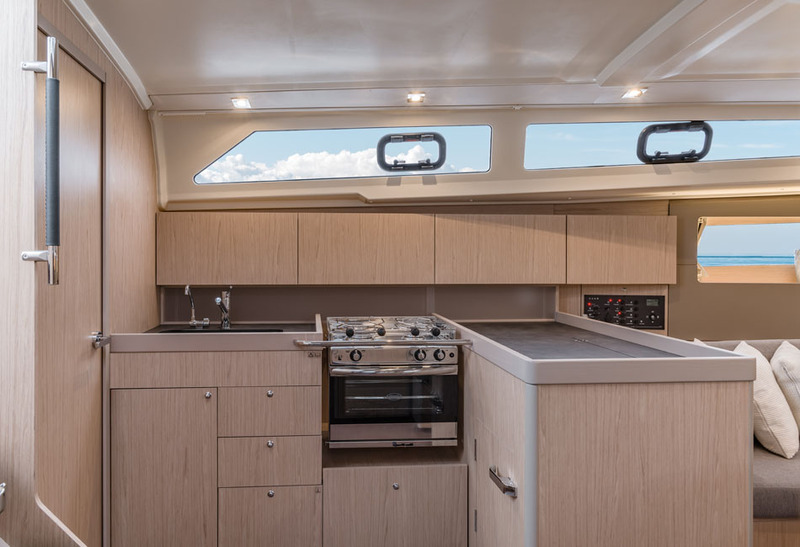 All four accommodation options can be equipped with new features such as a utility room, cockpit locker and even a dishwasher.